This winter has been kind of bizarre. We have had a roller coaster weather pattern that has topped out in the 80's and then promptly dropped to the teens for a week. It has been very strange, and a little difficult to keep up with. I usually try to make food based on what is seasonal, as well as what the weather is like (salads for hot days, soups for cold days), but I just can't keep up right now. I will plan a gorgeous soup, and it will be 75 degrees, and we are all wishing for a picnic with sandwiches instead. Are you snowed in? I feel like all I am seeing is photos of freezing places on social media, and it is making me grateful that I live in a mostly warm place. And now, on to the menu! *Some of these were from my CSA box, and others were purchased at my grocery store. Rainbow Power Salad - This was fun to make (I used my spiralizer, because I love it), but I was not totally impressed with the flavors. It was fine and super fresh, but not amazing. Granted, it might have been better had I been able to toss the veggie noodles with fresh basil... But I didn't, so maybe it was all my fault. Vegetarian Thai Pizza - I love the original pizza, but this was quite a good vegetarian version. I used thinly sliced sweet potato, zucchini, carrot pieces and cilantro leaves. I faked the sauce (because I only had curry powder), and it was truly magnificent. 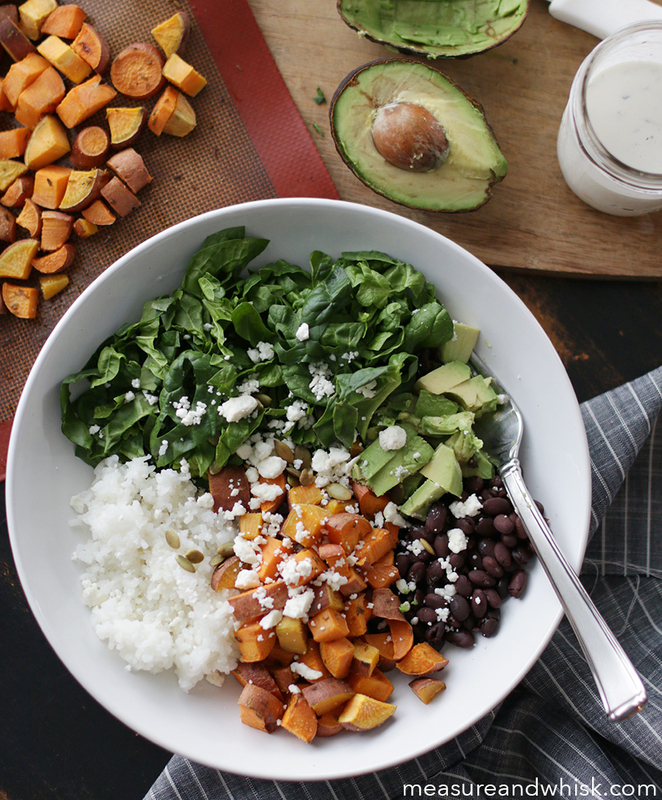 Black Bean Mexican Bowls - This is my favorite meal of late. It is filling, healthy and just dang delicious. I am planning on posting this one really soon. 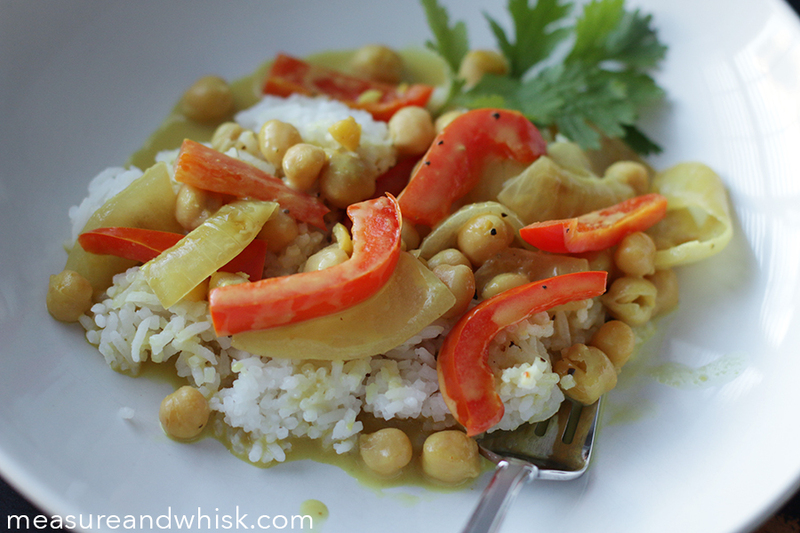 Red Pepper and Chickpea Curry - This is a tasty one. I used onions, left out the sugar snap peas (they are SO expensive!) and used curry powder, but it was delicious. Asian Veggies and Noodles with peanut sauce - This was quite tasty, but I wish I had used this peanut sauce instead. It is a little more flavorful. Also, we have church at 2PM now (which means we don't get out until 5), so quick meals have become my favorite. This meal took about 25 minutes, which was perfect. 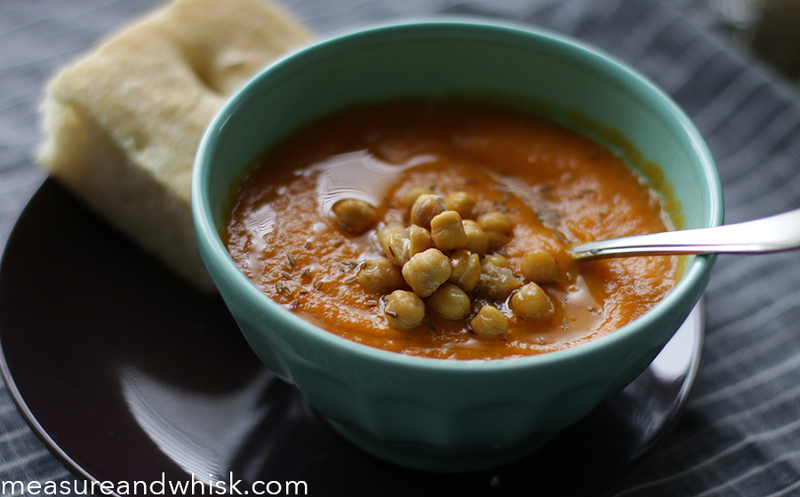 Carrot Soup with Focaccia Bread - This soup is about as simple as they get, and it is delicious! Dip a little homemade focaccia bread in it, and you are in business! Have you been making anything fun lately?